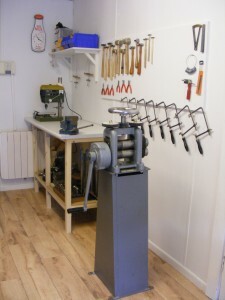 For experienced makers who don’t require any tuition but need access to workshop facilities. Handy for a batch of barrel polishing or a session of enamelling or etching. Hourly rate for flexibility – come in for as long and as often as you need to. I will be working at the studio with you but will leave you to your own making! Weekday and weekend times are available but vary depending on demand, so please contact me for more details.